In an analog system, separate audio and video cables must be installed from endpoint to endpoint. 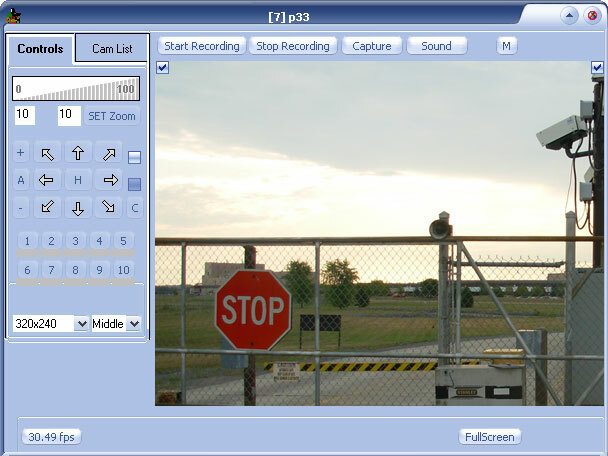 In a network video system, a network camera with audio support processes the audio and sends both the audio and video over the same network cable for monitoring and recording. Many network camera manufacturers are recognizing the importance of audio, and audio is becoming a common feature in network cameras. Some video encoders also have built-in support for audio, which means that they can provide audio functionality in an analog camera installation. Having audio as an integrated part of the DETEXI NVR is an invaluable addition to a system’s ability to detect and interpret events and emergency situations. The NVR supports three basic modes of audio communication: simplex, half duplex and full duplex — depending on the application, it can be configured to send audio in only one direction or both directions, which can be done either simultaneously or in one direction at a time. 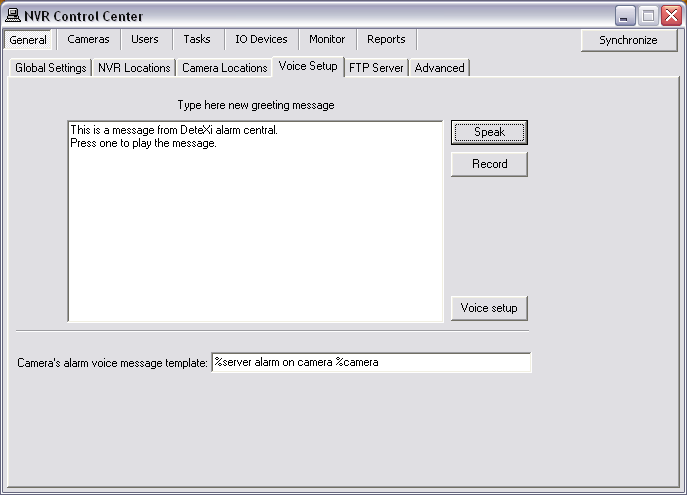 The DETEXI NVR also provides alarm management — the software can sound an alarm, display pop up windows with alarm video/audio stream, send e-mails, call a phone and play alarm-specific WAV file or text-to-speech message. Full duplex mode enables users to send and receive audio (talk and listen similar to a telephone conversation) at the same time. Full duplex requires that the client PC has a sound card with support for full-duplex audio. Depending on the application, the NVR can be configured to send audio in only one direction or both directions, which can be done either simultaneously or in one direction at a time (simplex, half duplex and full duplex modes). Be sure that the NVR audio settings make sense considering the camera audio capabilities and settings. In the NVR Control Center — Cameras select a camera with audio support from the Cameras List. In the Camera Settings check Sound checkbox. Under the Audio(R/T) check R checkbox to receive audio from the camera and/or check T checkbox to transmit audio from the operator to the camera. The next step is to define which audio communication mode is permitted to the user. In the NVR Control Center — Users select a user from the Users List. 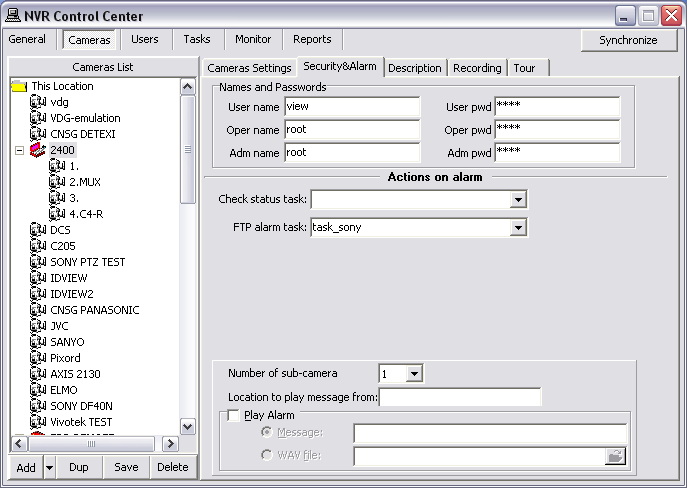 In the User Information select a camera from the user cameras to interact list at the right. 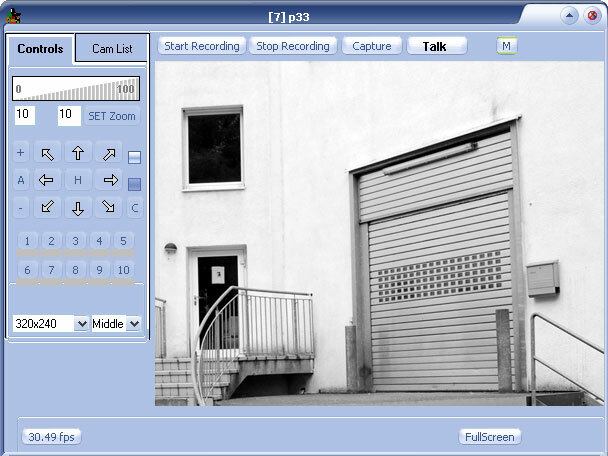 If the checkboxes are not visible — sound was not enabled for the camera. If you intend running the audio module in full duplex mode, check that the sound card on your computer supports this. When the camera (with audio) live view is launched on the Remote Client the camera starts to stream live video and audio over the Internet. Depending on audio settings one or two additional checkboxes will appear on the image top (except for half duplex mode). When using the half duplex audio mode camera will normally send audio to the operator. To transmit audio from the operator to the camera press and hold the Talk button (button state switches to the Talking). As a part of alarm management system an audio alert can be activated — all available operators could be notified of the alarm by playing alarm-specific WAV files or text-to-speech messages. When the video devices (cameras and/or video servers) are mostly defined in the NVR the default cameras alarm sound files should be generated. If more video devices than is added to the system new sound files will be generated automatically. Go to the NVR Control Center — General — Voice Setup. 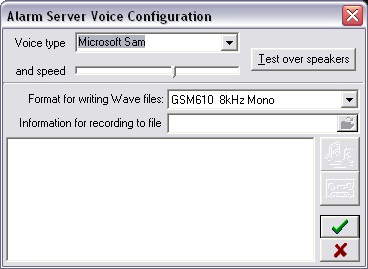 Click on the Voice Setup button to launch the Alarm Server to configure voice type, speed and sound file format. Click the Record button to save voice settings and generate the default alarm sound files according to the settings. 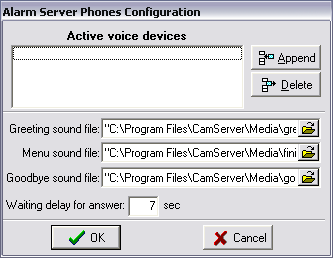 In the Alarm Server Voice Configuration select Voice Type and Speed. By pressing the Test over speakers button, you can hear the test message. Select a Format for writing Wave files. 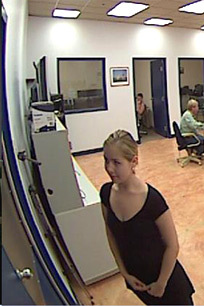 In the NVR Control Center — Cameras select a camera from the Cameras List and switch to the Security & Alarm. Enter the Location to play message from, if provided (for advanced users). Check the Play Alarm checkbox to activate radio buttons below. Select the WAV file radio button to activate the file directory. Choose a sound file you want to play from the directory. Or select the Message radio button and enter a message to be played. Phone notification calls a user-defined phone or pager and plays alarm-specific or a user-defined WAV file or text-to-speech message. Has the ability to attempt multiple times on failure. eMail notification sends an alarm-specific or user-defined email to one or more user-defined email addresses. Has the ability to attempt multiple times on failure. Speak notification plays alarm-specific or a user-defined WAV file or text-to-speech message over the NVR Server soundcard. 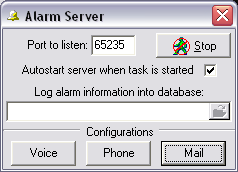 If the NVR is running the Alarm Server icon appears in the Windows taskbar tool tray. Double-click the icon to launch the Alarm Server interface. Switch to the Voice, Phone or Mail configuration. In the Alarm Server — Voice Configuration select Voice Type and Speed. If you want to change the default alarm message to your own, enter a new message in the Information for recording to file textbox and save the file. Select appropriate sound files and Waiting delay for answer. Enter the SMTP server name or address into the Server (SMTP). Select the Port number that is used for SMTP (most ISPs use port 25). 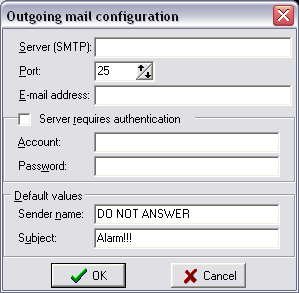 If the outgoing e-mail server (SMTP) requires authentication check the Server requires authentication checkbox and enter e-mail account and password. Under the Default values enter the Sender name and the Subject line info.